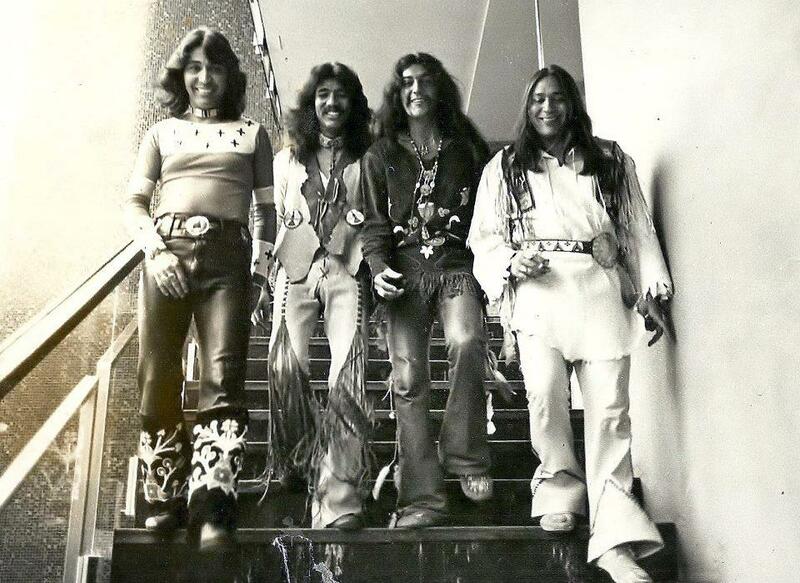 Born in Coalinga, California near Fresno, brothers Patrick (bass and vocals) and Candido "Lolly" Vasquez-Vegas (guitar and vocals) moved to Los Angeles in 1969 to form the group Redbone with mere cents in their pockets due to Pat winning the first ever singing competition held by Coca-Cola. He won a recording contract and travel to create a career which he then put off to move to Los Angeles with his brother Lolly. They began playing local shows on Hollywood and Sunset Blvd, at local clubs like Gazzari's, as well as writing and playing guitar and bass on records by Tina Turner, Sonny & Cher, James Brown, Little Richard, Elvis, and other legendary names. The name Redbone itself is a Cajun term for a mixed-race person, the band's members being of mixed blood ancestry. The band referenced Cajun and New Orleans culture many times in their lyrics and performing style. Patrick and Lolly Vasquez-Vegas were a mixture of Yaqui, Shoshone and Mexican heritage. The brothers began by performing and recording surf music as the Vegas Brothers, "because their agent told them that the world was not yet ready to embrace a duo of Mexican musicians playing surfing music". First as the Vegas Brothers (Pat and Lolly Vegas), then later as the Crazy Cajun Cakewalk Band, they performed throughout the 1960s at venues on the Las Vegas Strip and appeared on Shindig! According to Pat Vegas, it was Jimi Hendrix–himself part Cherokee–who inspired the musicians to form an all-Native American rock group. They signed as the band "Redbone" to Epic Records in 1969. 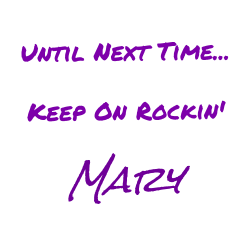 Hendrix also stated that Lolly Vegas was his favorite guitar player, Pat his favorite bassist, and the brothers as his biggest influence in music. The band then consisted of Pat Vegas, Lolly Vegas, Peter DePoe and Robert Anthony Avila, a Yaqui-Mexican American, better known by his stage name Tony Bellamy. Their debut album Redbone was released in 1970. Prior to forming Redbone, Pat and Lolly Vegas released an album in the mid-1960s entitled Pat & Lolly Vegas at the Haunted House (Mercury MG 21059/SR 61059). Of the twelve songs on the album, six were originals by the Vasquez-Vegas brothers which gained them huge initial success. Pat and Lolly also appeared religiously on the 60's hit show "Shindig" and reoccurring performers! They also released several singles from 1961 to the mid-1960s. One of them was titled "Robot Walk" / "Don't You Remember" (Apogee Records A-101) and more making a name for themselves in early years. In 1967 P.J. Proby recorded his only Top 30 hit "Niki Hoeky" by Jim Ford, Lolly Vegas and Pat Vegas. The next year, Bobbie Gentry performed the Cajun-influenced song on The Summer Smothers Brothers Show. Pat Vegas also wrote songs for legendary names like Aretha Franklin and had a helping hand in the "Munsters" TV Show theme song collaborating with another English writer. Redbone played primarily rock music with R&B, Cajun, Jazz, tribal, and Latin roots. Their first world commercial success came with the single "The Witch Queen of New Orleans" that peaked at #21 on the Billboard Hot 100 and followed by the single "Maggie" from their second album, Potlatch. 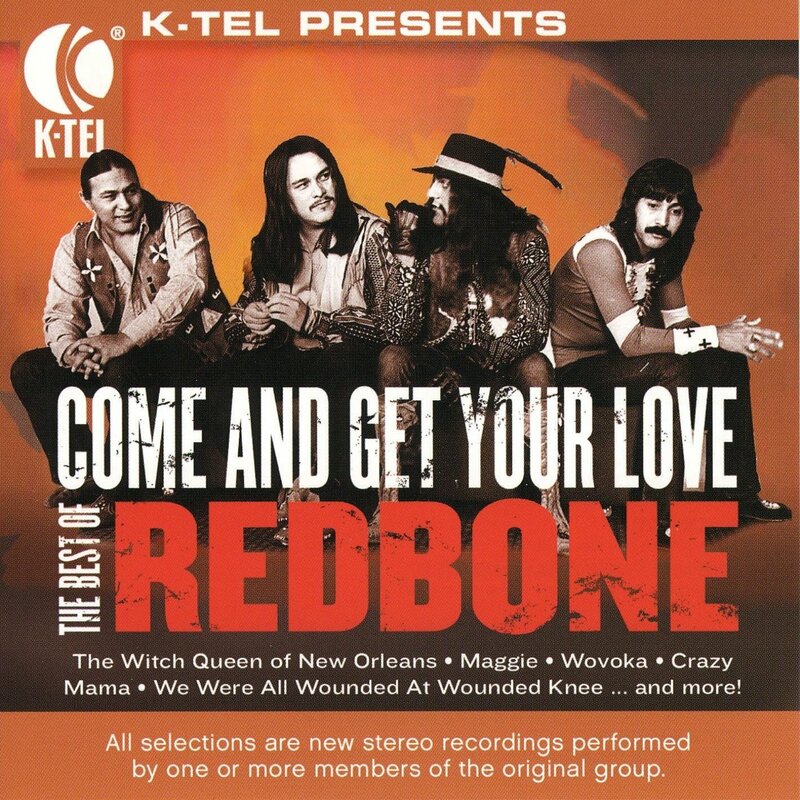 "Come and Get Your Love" followed as a smash #1 hit for Redbone. (1974, #5 on the Billboard Hot 100). "Come and Get Your Love", written by Lolly Vegas, remained on the chart for 24 weeks, and was certified gold by the R.I.A.A. on April 22, 1974. Redbone was also the opening act introducing the very first Earth Day to the world in Philadelphia along with Senator Muskie. Their opening song was "Chant 13th Hour" from the "Potlatch" album. 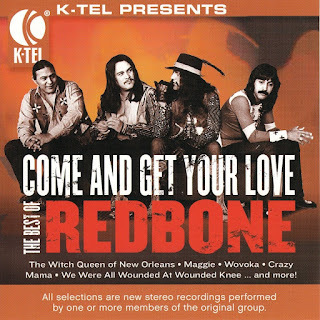 Redbone's music was characterized by the Leslie rotating speaker effect that Lolly Vegas created and used for his electric guitar amplifier and a "King Kong" style of drumming developed by drummer Peter DePoe (born, 1943, Neah Bay, Washington). 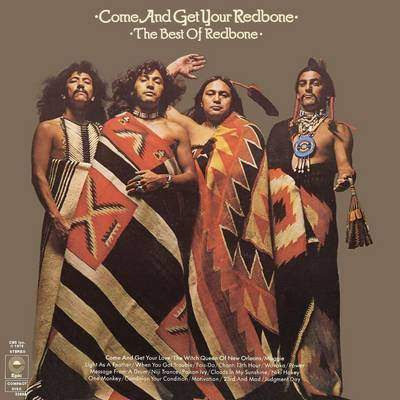 The first self-titled album by Redbone was released as a double album in North America. In Europe it was released both as a double (EPC 67242) and as a single album (BN 26280) on the Epic label. Their third album, Message from a Drum, was released in Europe (except Spain) with the title The Witch Queen of New Orleans and different cover than the one released in the U.S. and Canada. 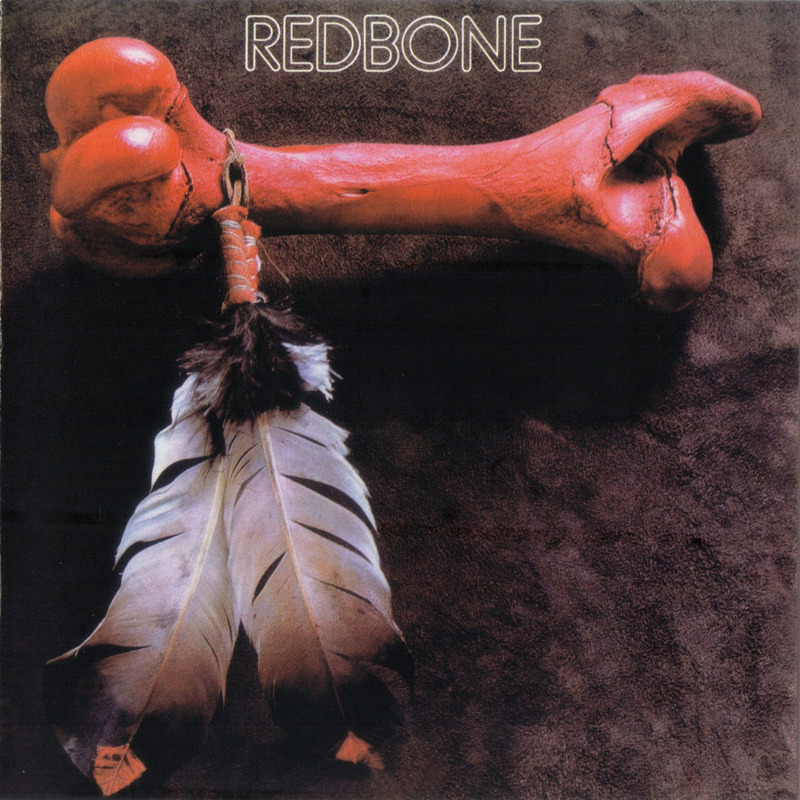 In 1973, Redbone released the politically oriented "We Were All Wounded at Wounded Knee", recalling the massacre of Lakota Sioux Indians by the Seventh Cavalry in 1890. The song ends with the subtly altered sentence "We were all wounded 'by' Wounded Knee". It charted in several European countries and reached the #1 position in The Netherlands but did not chart in the U.S. where it was initially withheld from release due to lyrical controversy and then banned by several radio stations due to its confrontation of a sore subject. DePoe had left this band in 1972. He was replaced by Arturo Perez (1939-2011), but later by Bellamy's Filipino-Chicano cousin, Butch Rillera around that point. Following this the band achieved much of their commercial success. Tony Bellamy (guitar, piano and vocals) left the band in 1977, with Rillera leaving shortly after. The band's current remaining membership is led by Pat Vegas, although an array of new members have joined Redbone since then due to Lolly Vegas suffering a stroke that left him unable to tour with the band. No member has been official other than Pat Vegas after the original members were not present. A proposed reunion tour in 2003 did not occur. There is evidence that suggests the existence of an "imposter band" (one of many who try to gain recognition) who was illegally touring the United States and posing as Redbone under the name (or alias) "Denny Freeman". Freeman - who Pat Vegas confirmed to be unaffiliated with Redbone in an interview with the Montana Standard - defrauded the county fair board of the Butte Silver-Bow County Fair in Butte, Montana, under pretenses of being a co-founding member of Redbone, yet he was never a band member. On December 25, 2009, Tony Bellamy died of liver failure at a hospital in his hometown of Las Vegas, and less than three months later, Lolly Vegas succumbed to lung cancer at his family home in Reseda, California on March 4, 2010. Redbone has had some limited activity in recent years in the major public eye, but Pat Vegas continues to tour in Canada and the US in support of his solo albums, Ambergris," Peacepipe," and "Speed of Sound"